When Lady Rample steps out, murder steps in. Bored with her aristocratic life and irked that the police have arrested the wrong suspect, Lady R decides to turn lady detective. With her eccentric Aunt Butty in tow, Lady R scours London for clues. If she’s lucky she’ll find the killer before the killer finds her. 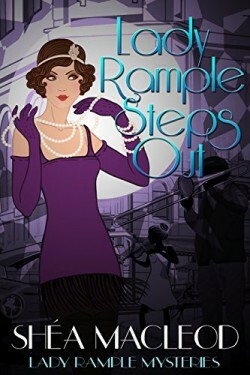 From the author of the Viola Roberts Cozy Mysteries comes the first book in the Lady Rample Mysteries set in jazz-era London.